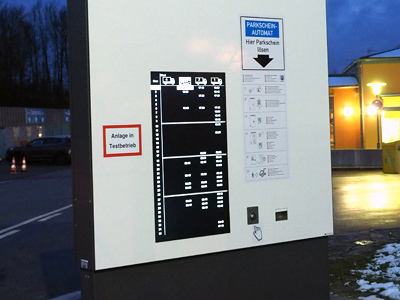 The Federal Highway Research Institute presents its new “Telematically Controlled Compact Parking” method to a specialist audience for the first time. 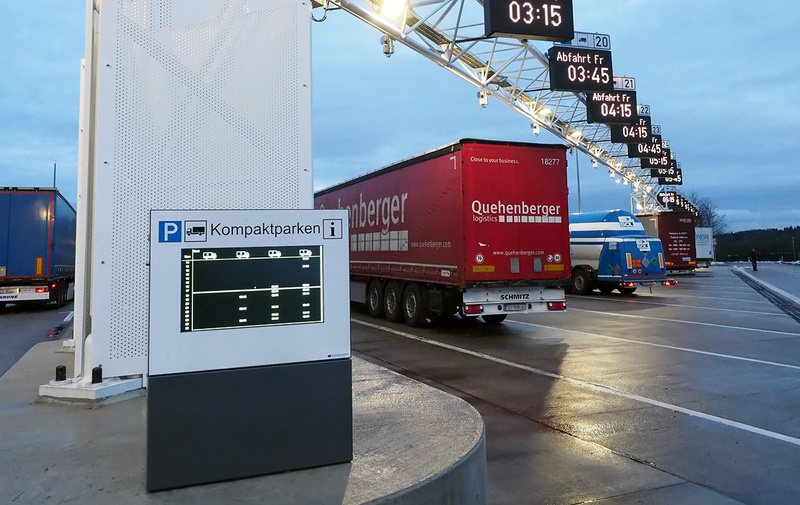 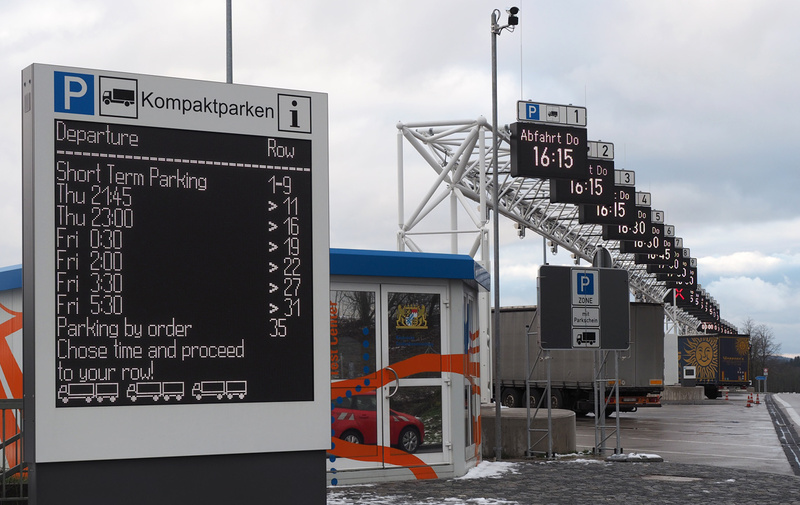 Further improvements have now been made to the new “Telematically Controlled Compact Parking” method by Federal Highway Research Institute, and the system has been tested in a custom-built simulation environment using real data. 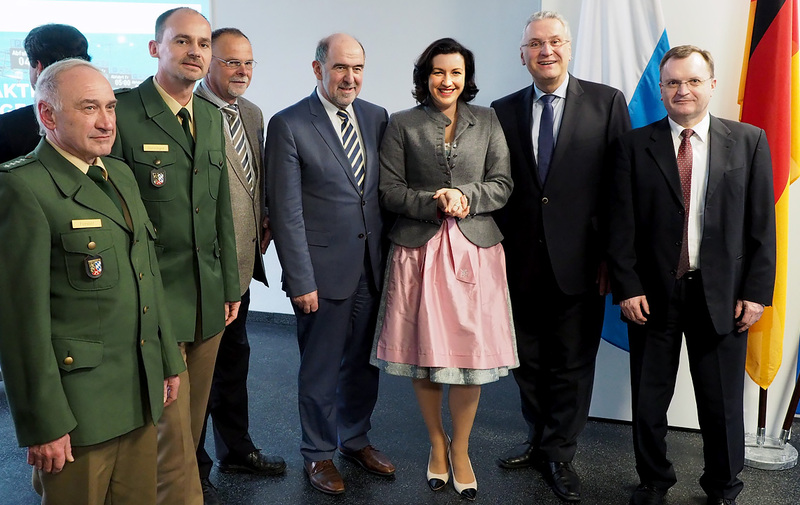 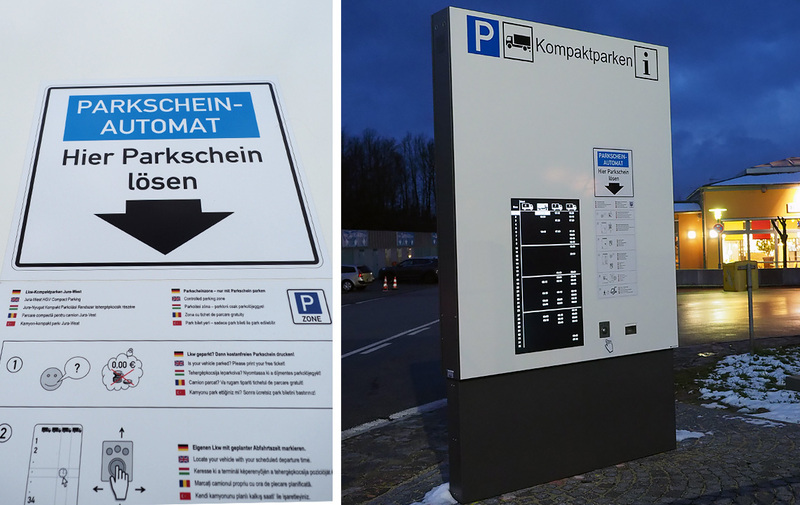 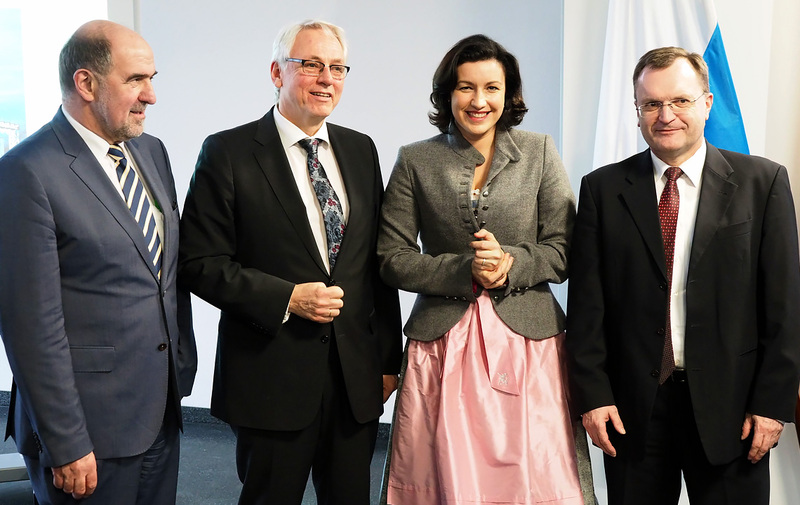 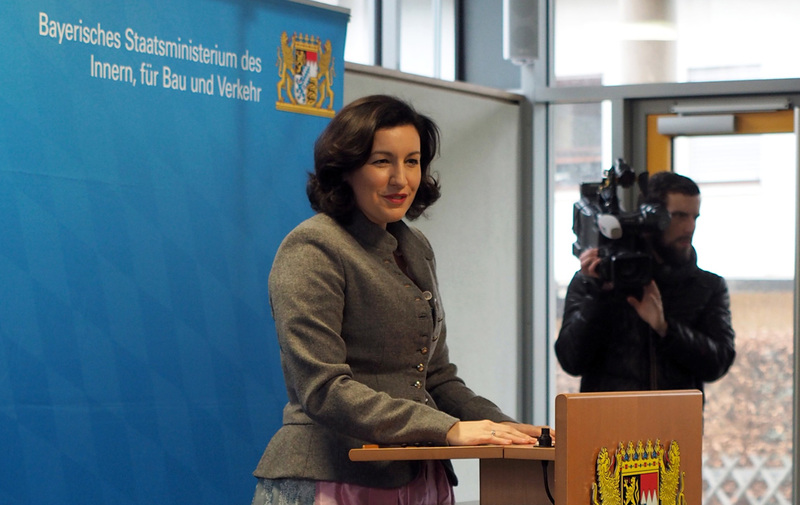 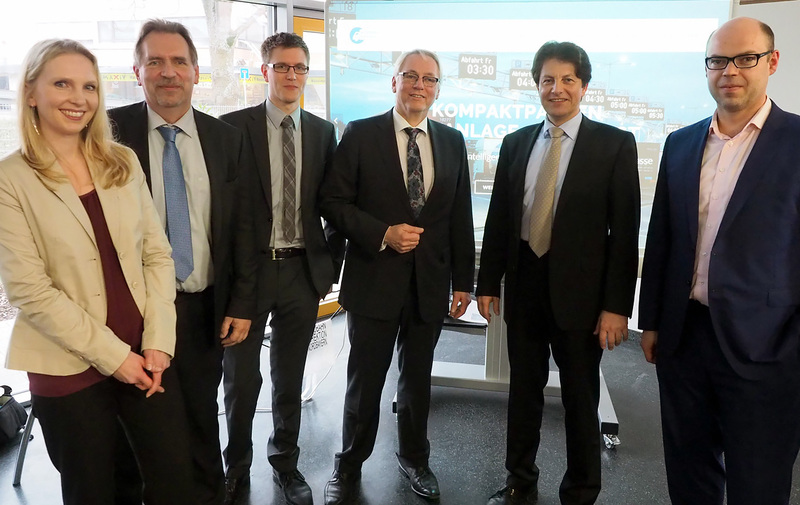 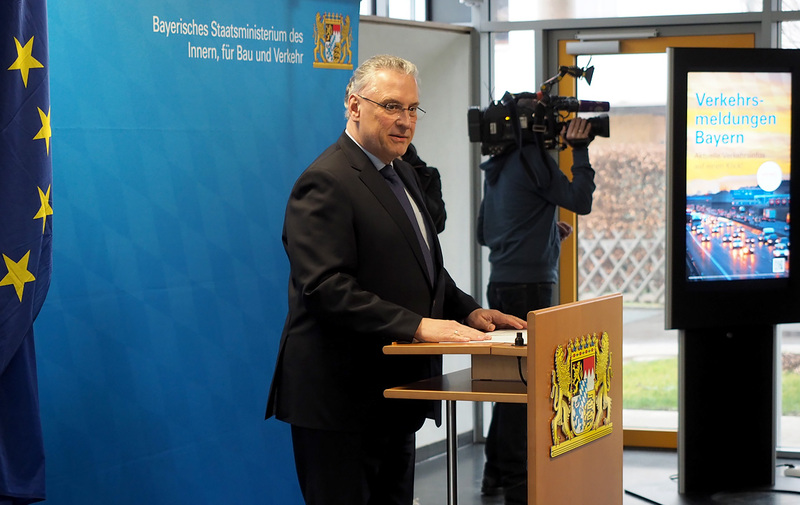 The Bavarian Roads Authority agrees to carry out a pilot project for Compact Parking at one of the Bavarian service areas. 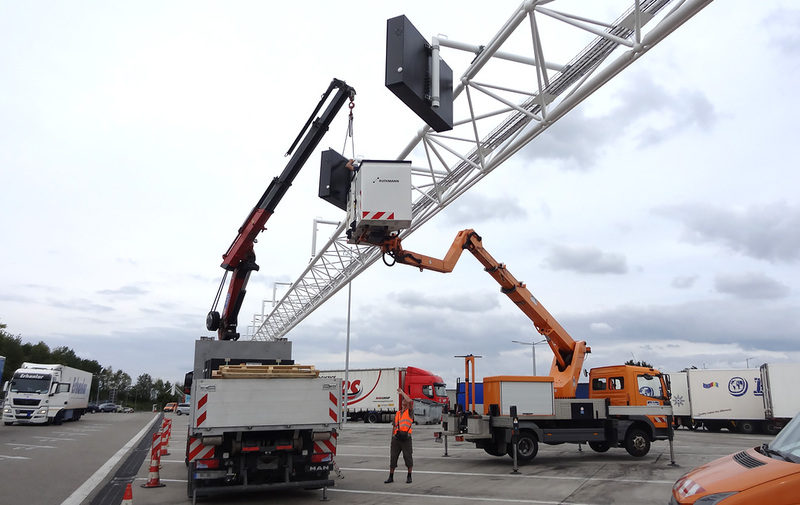 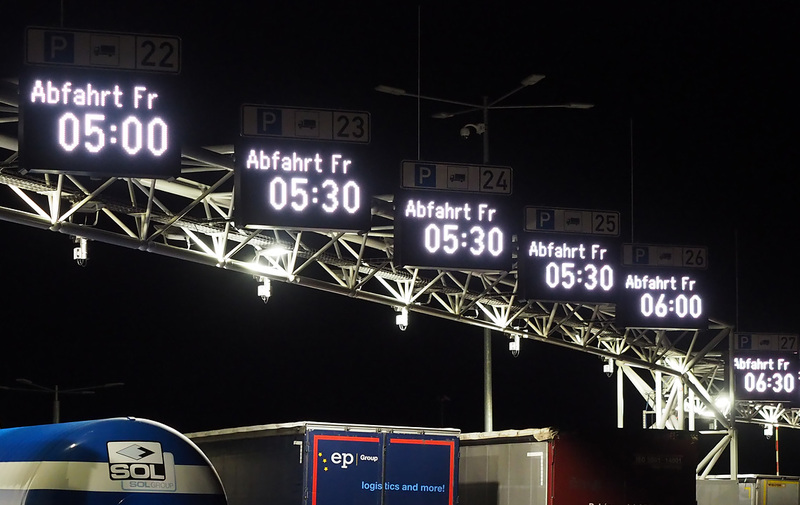 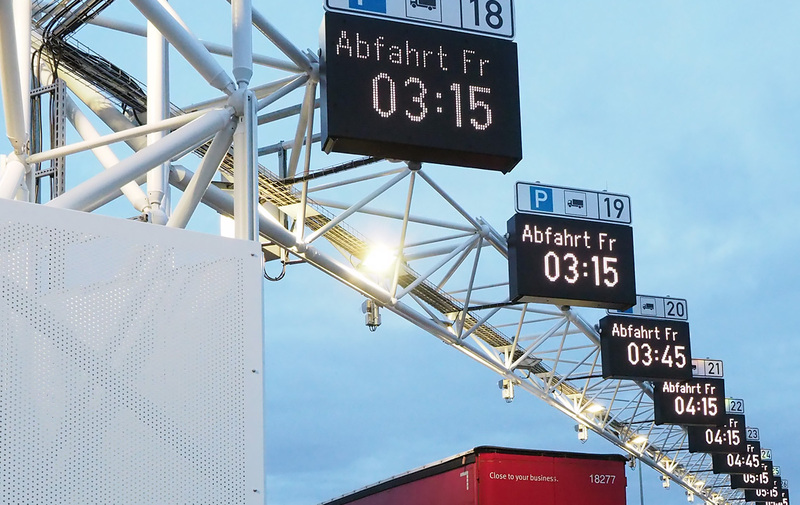 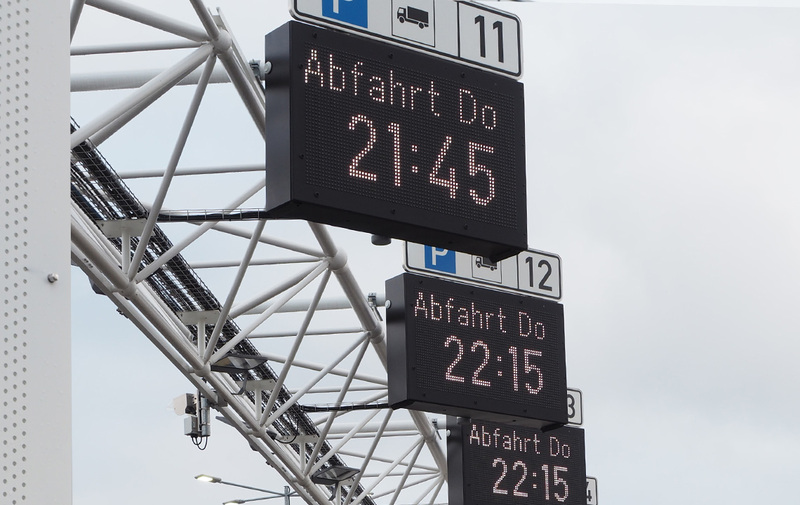 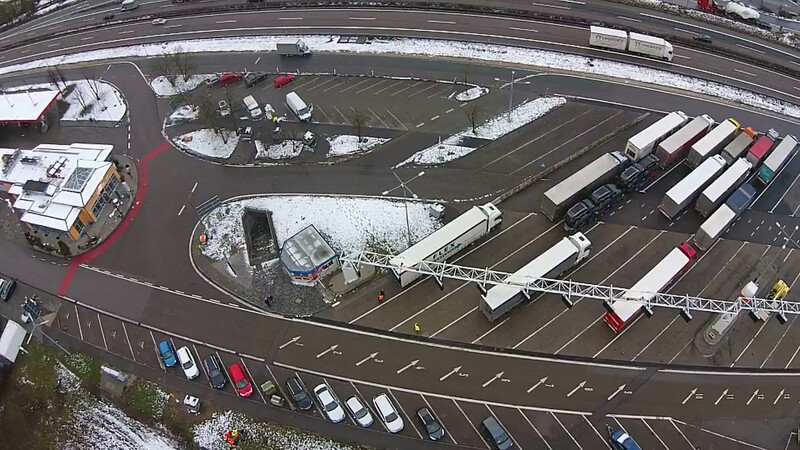 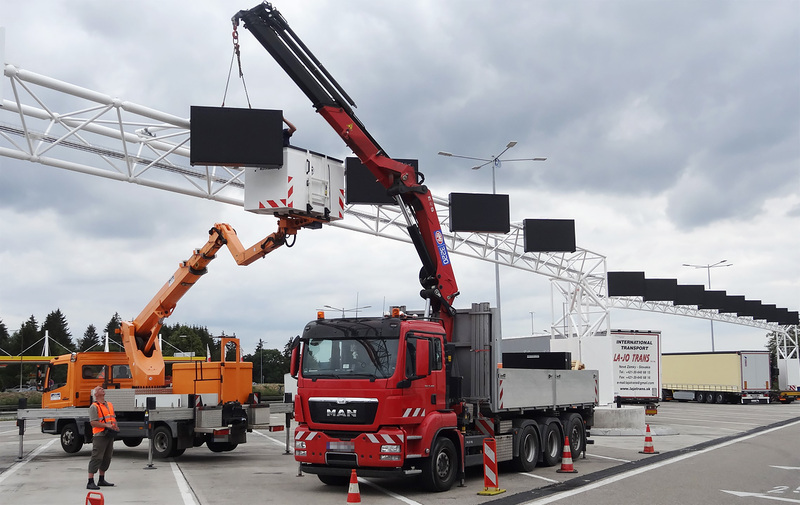 The Jura-West motorway service area (on the A 3 between Nuremberg and Regensburg) is chosen for the pilot installation. 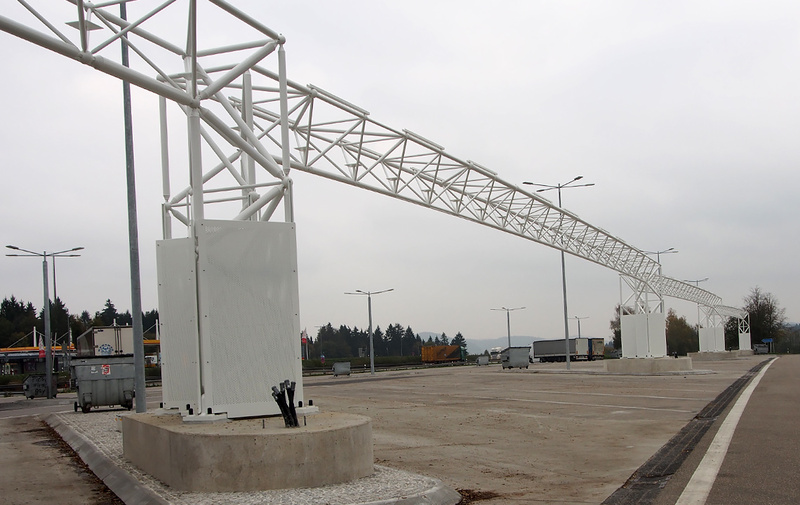 The requisite planning and tendering documentation is put in place. 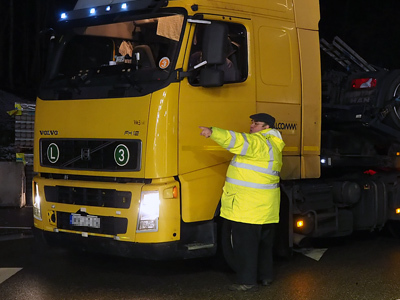 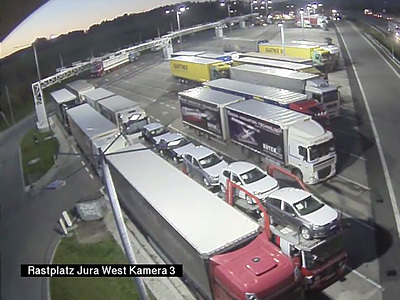 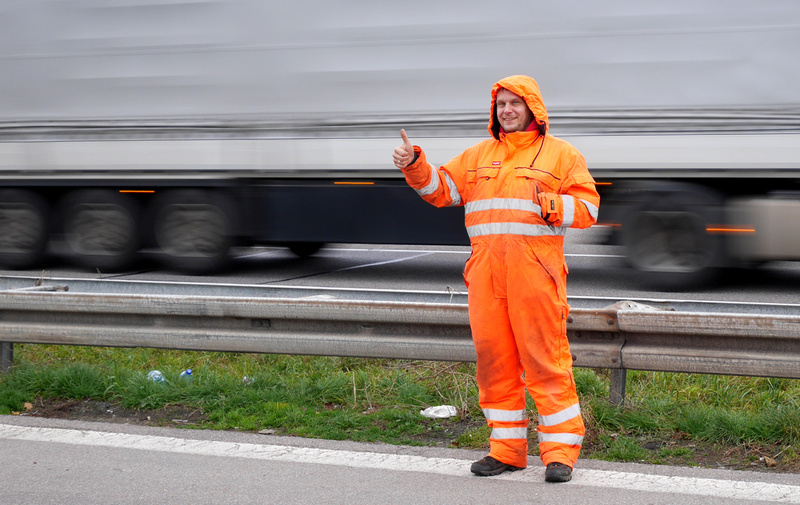 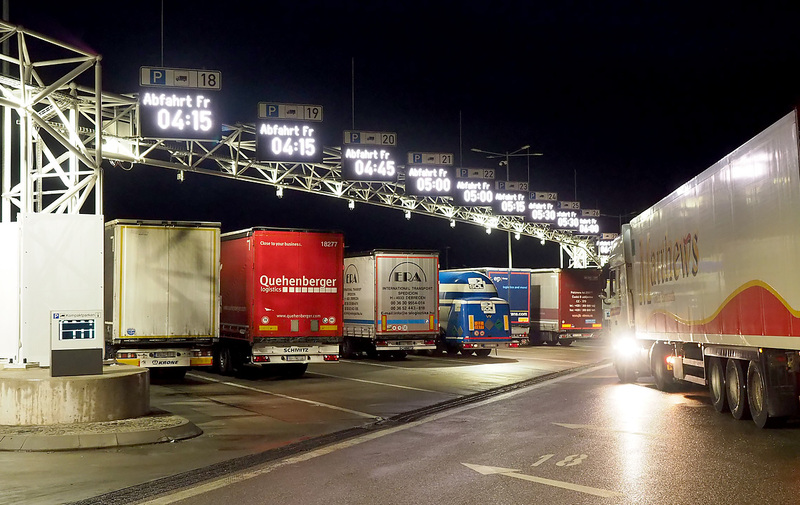 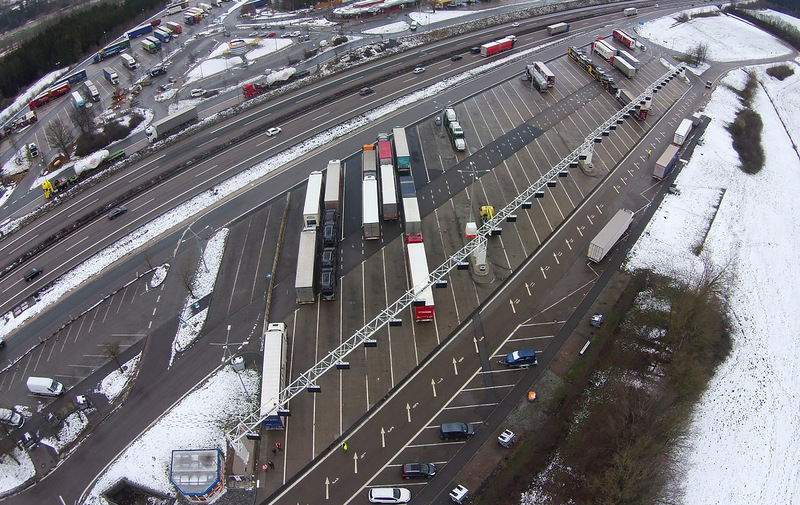 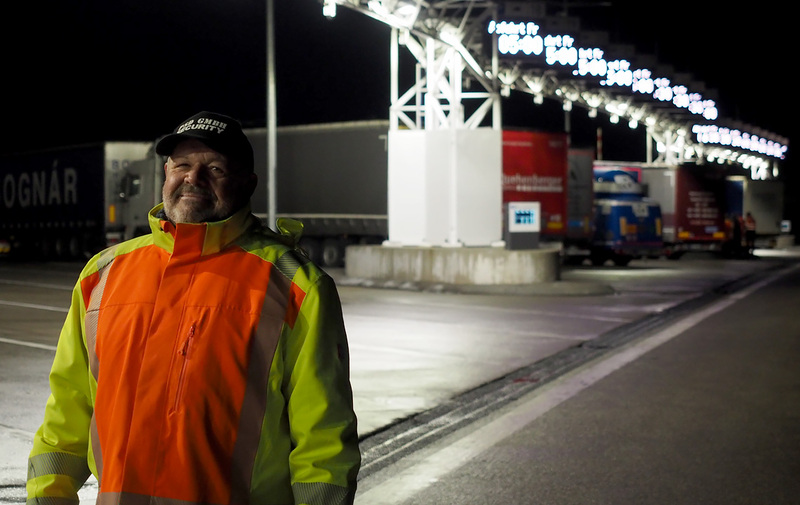 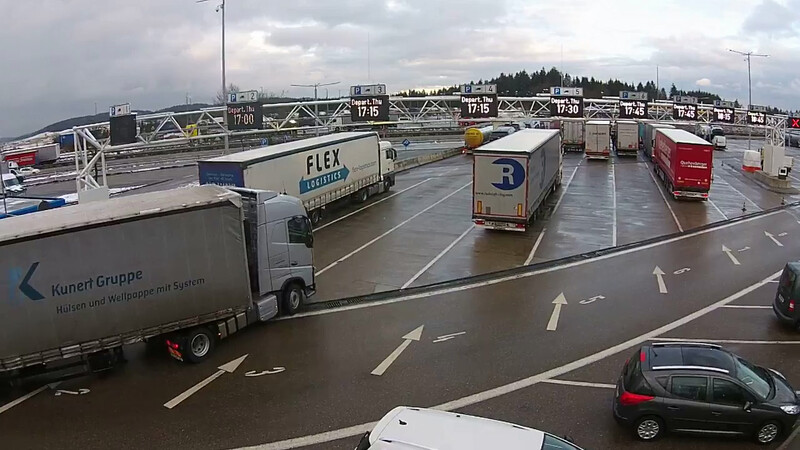 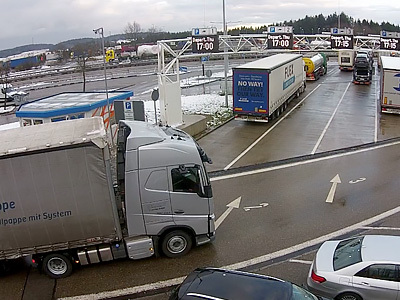 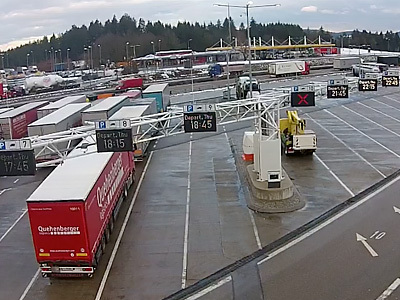 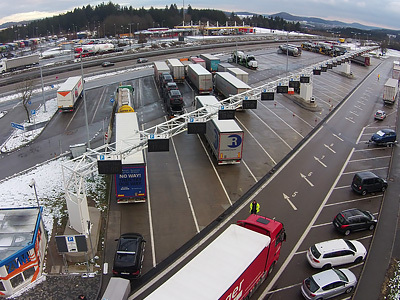 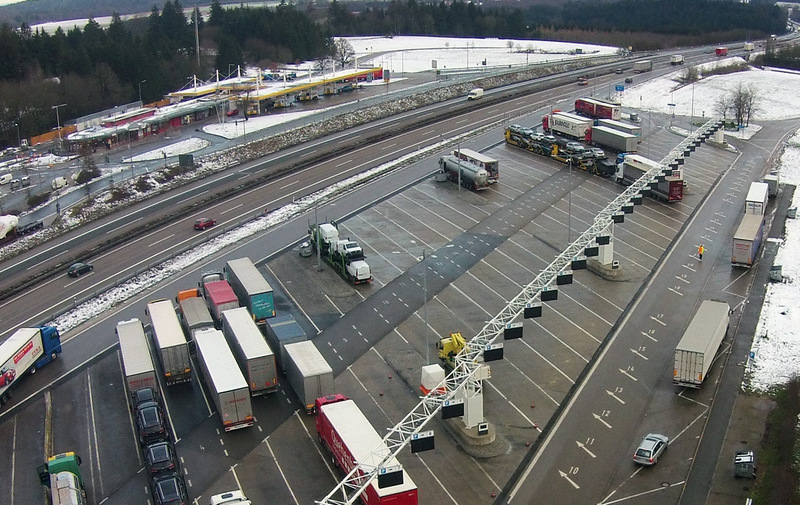 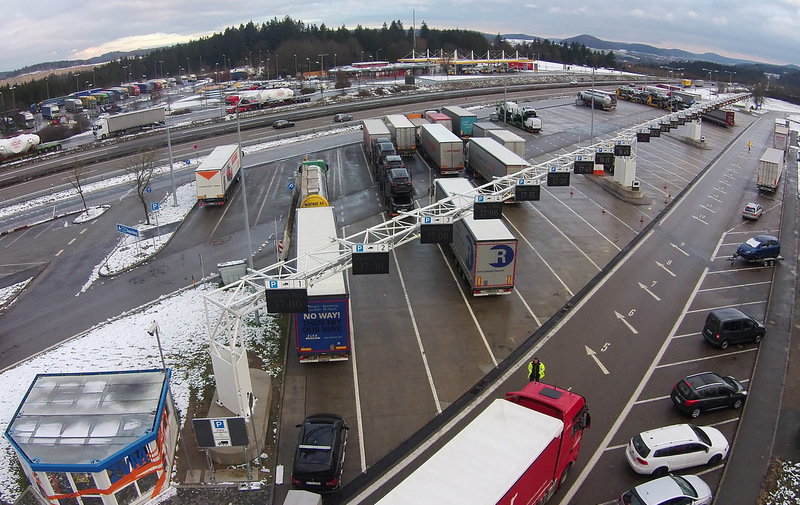 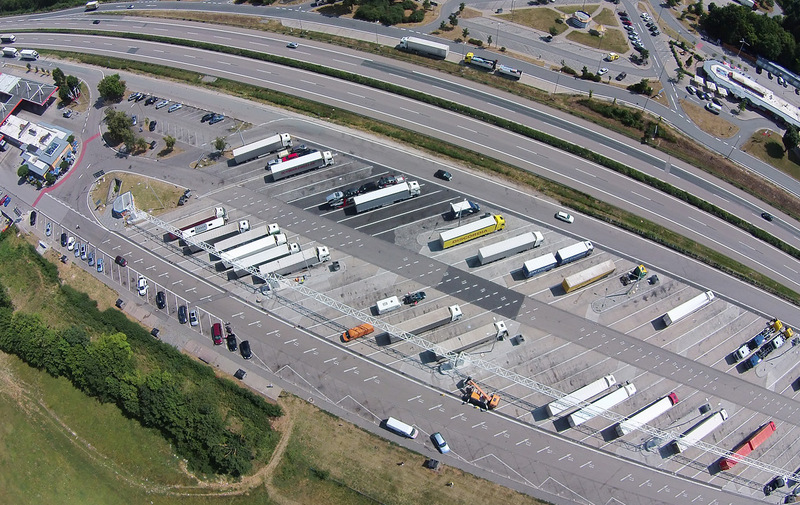 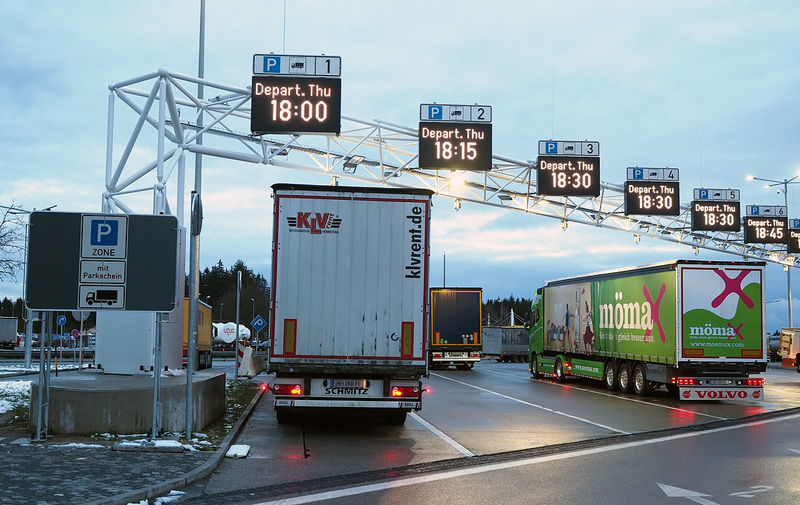 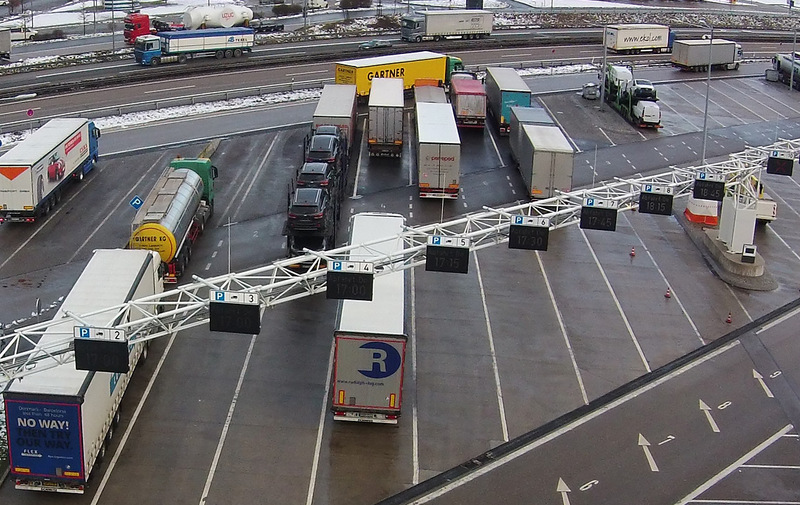 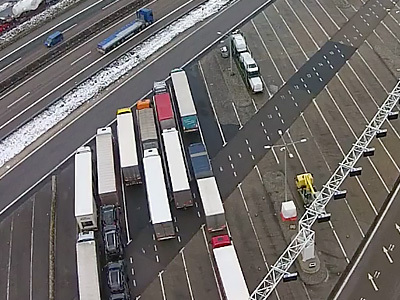 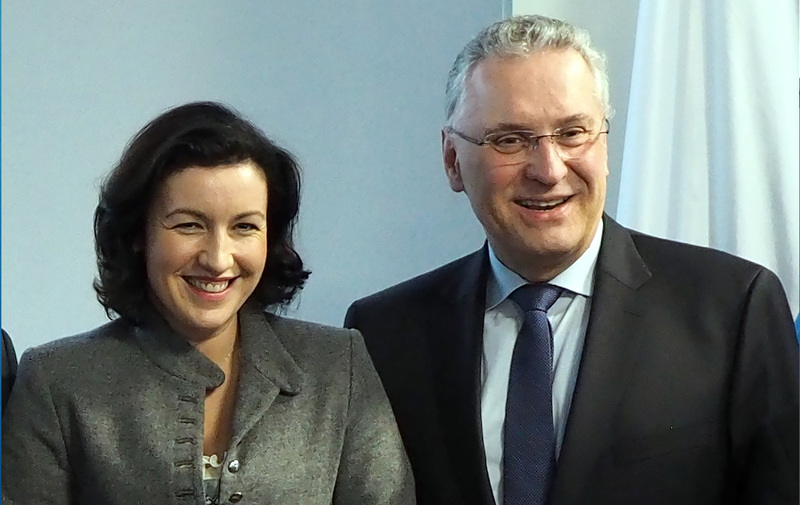 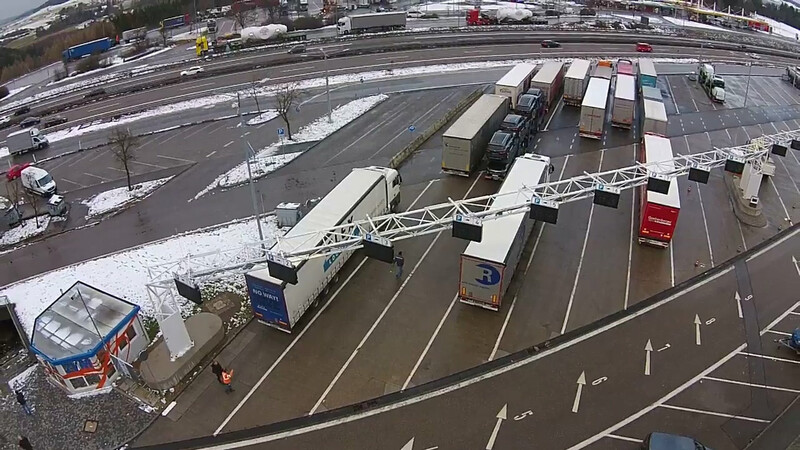 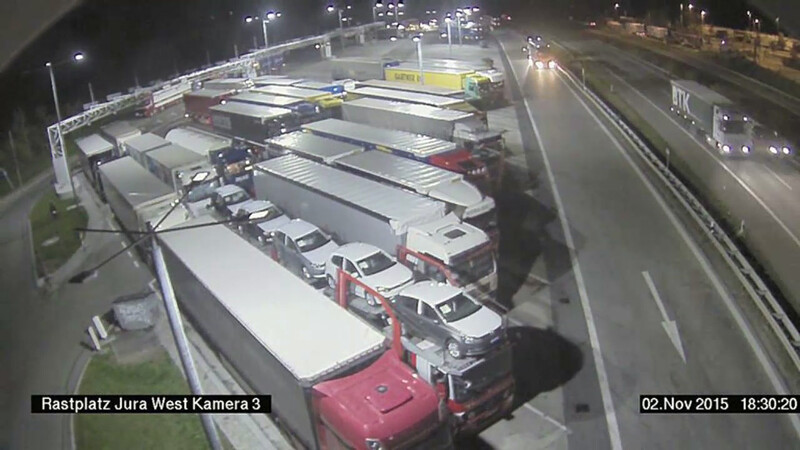 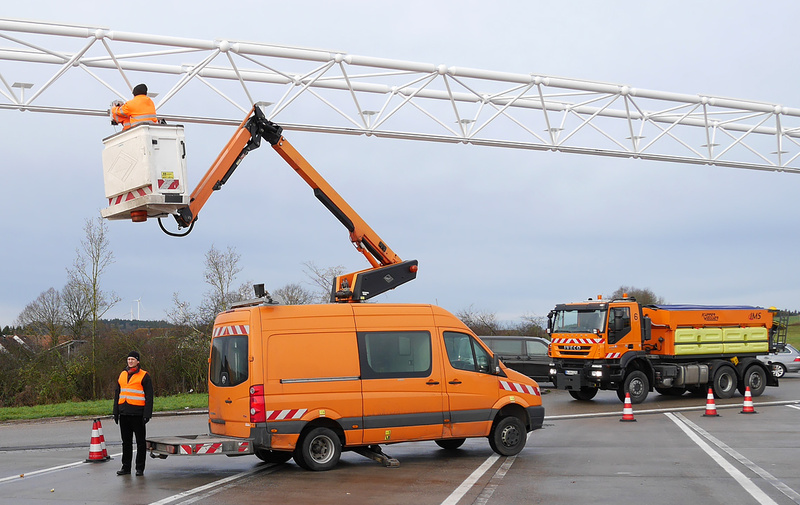 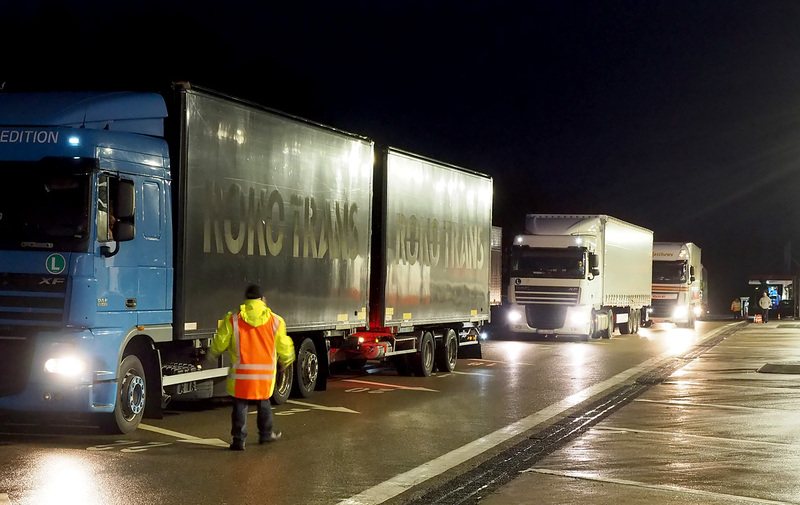 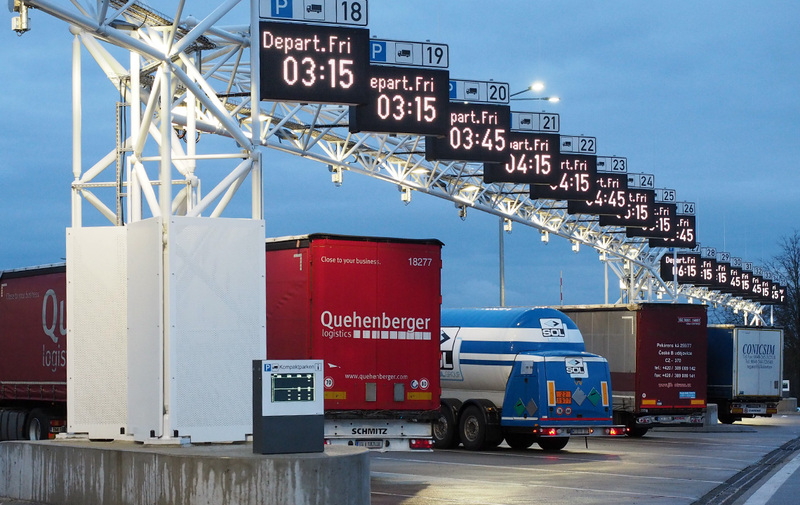 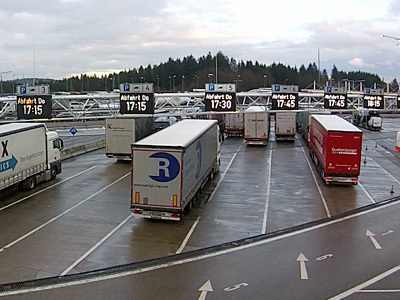 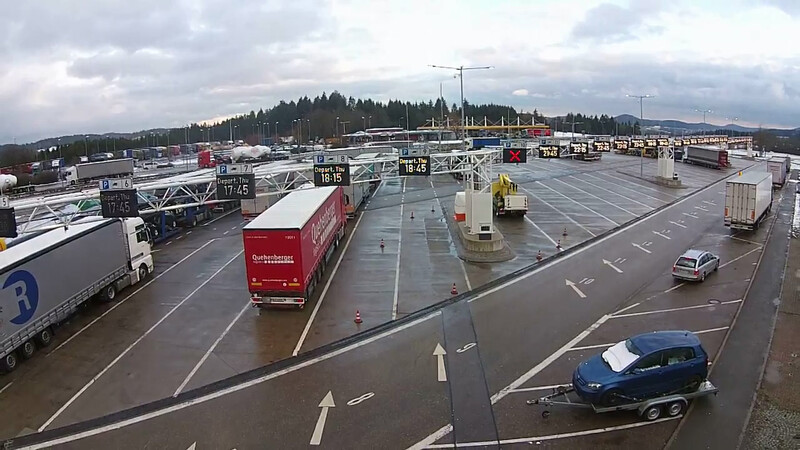 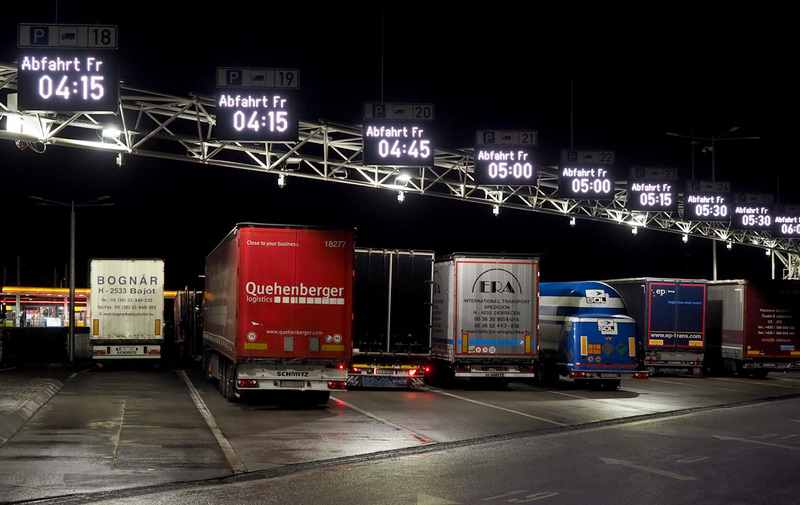 Work on remodelling the truck parking section of the Jura-West service area begins mid-year. 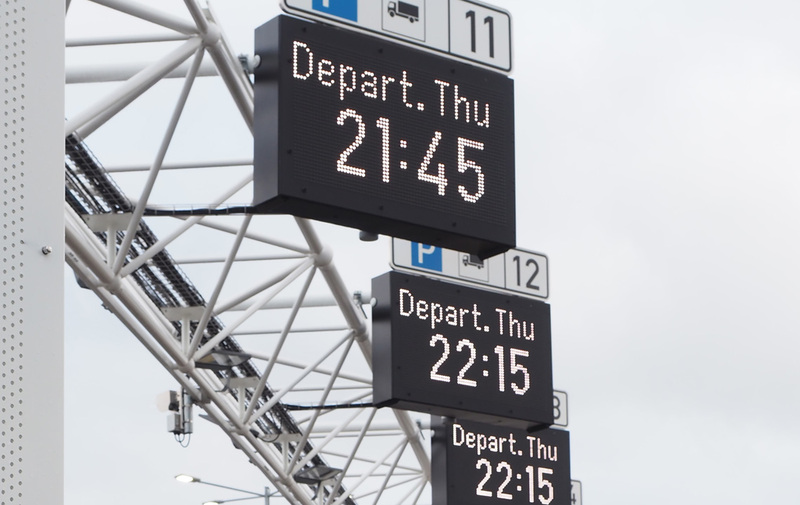 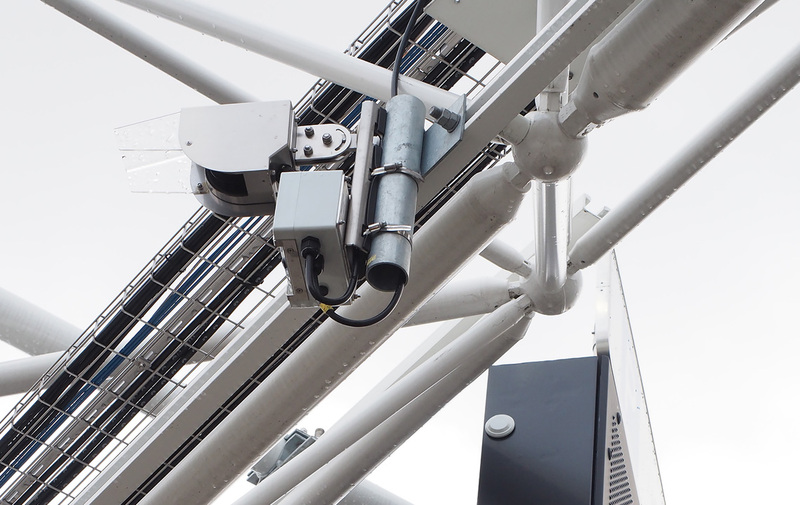 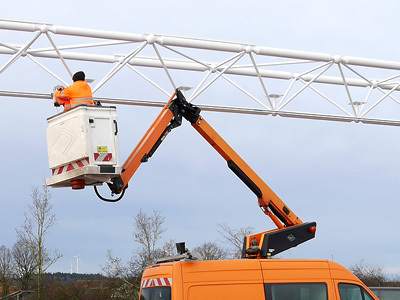 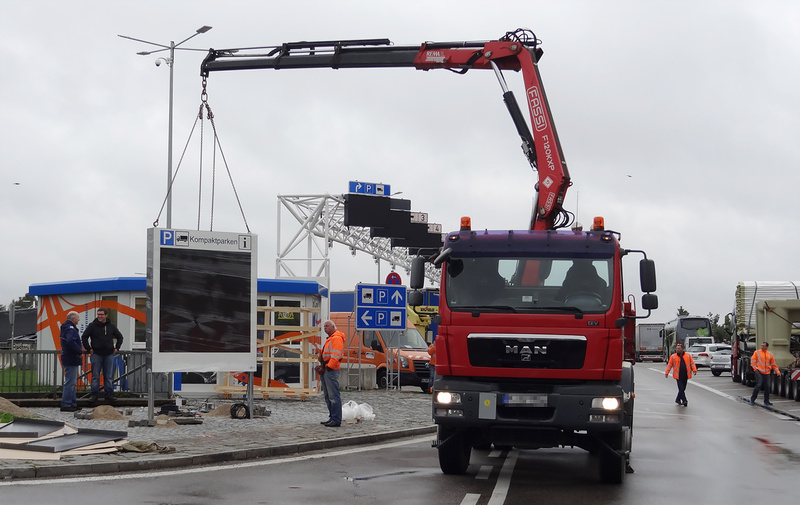 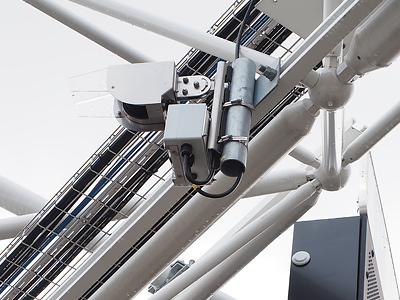 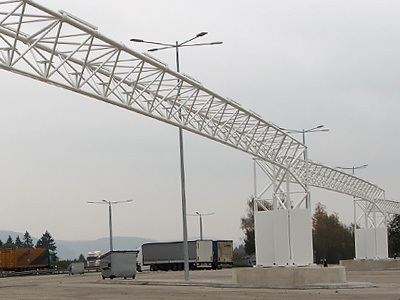 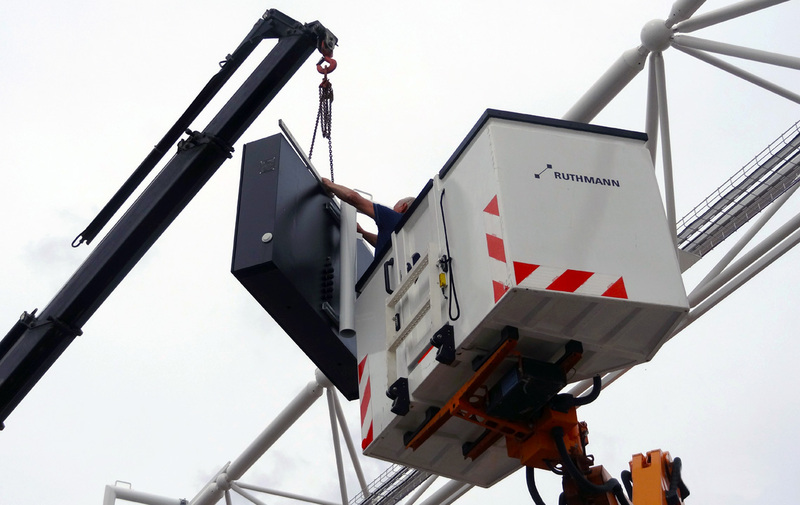 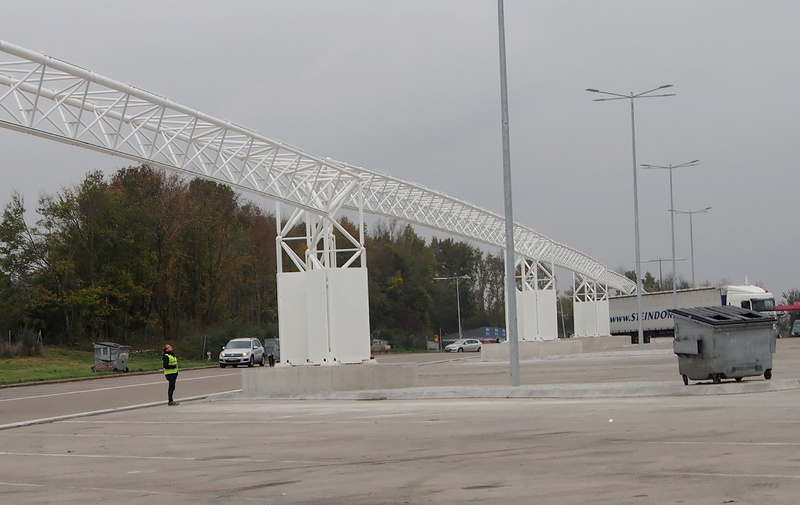 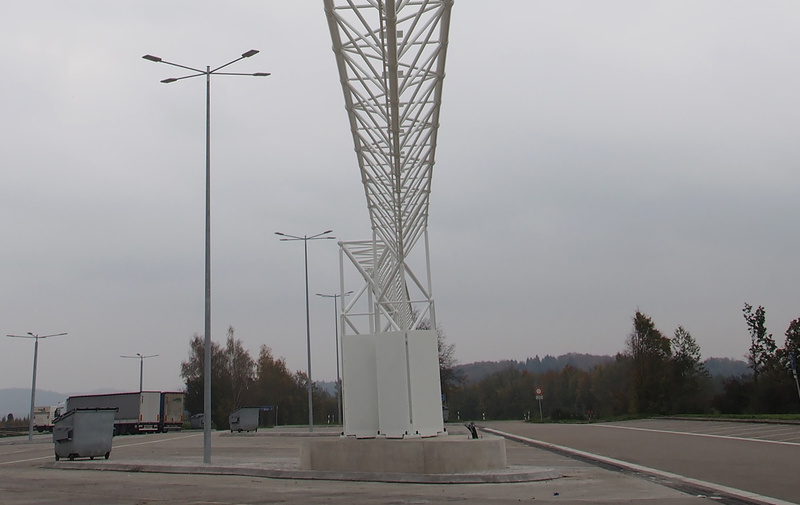 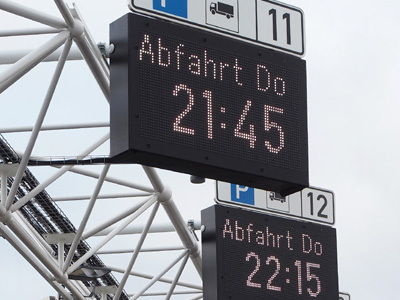 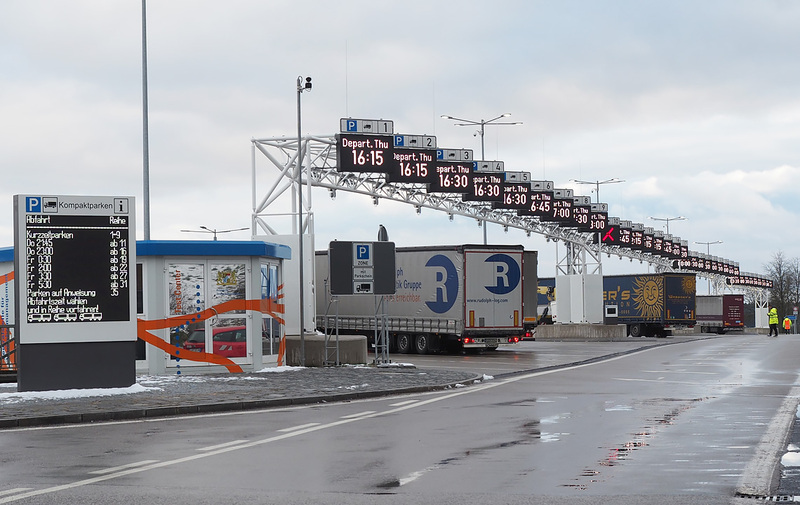 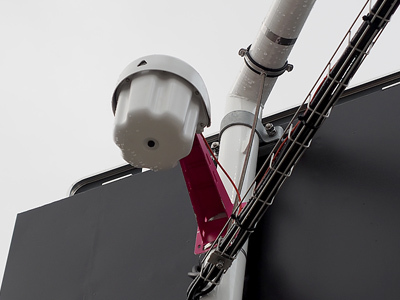 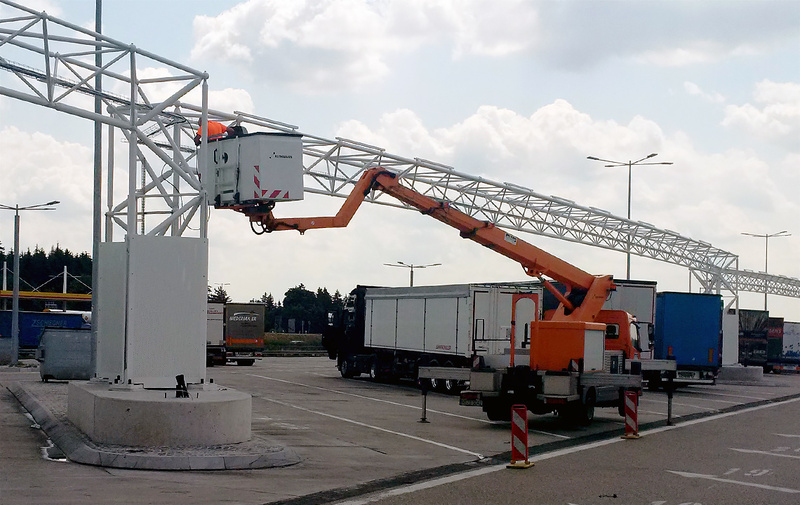 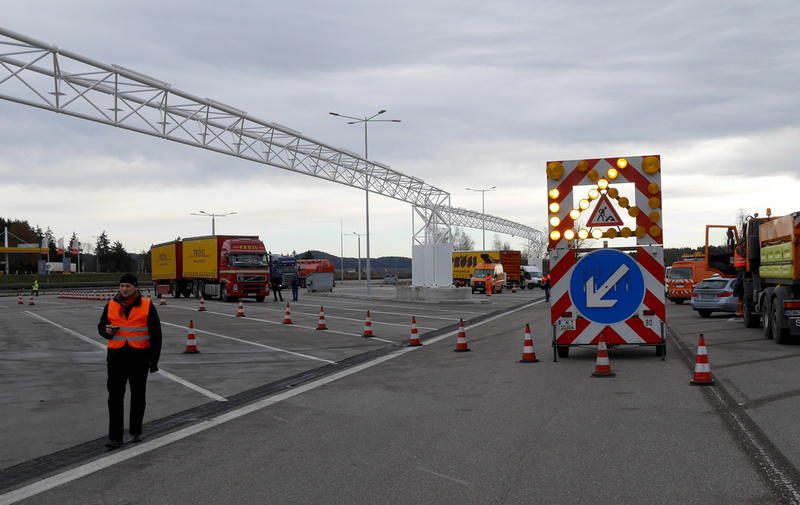 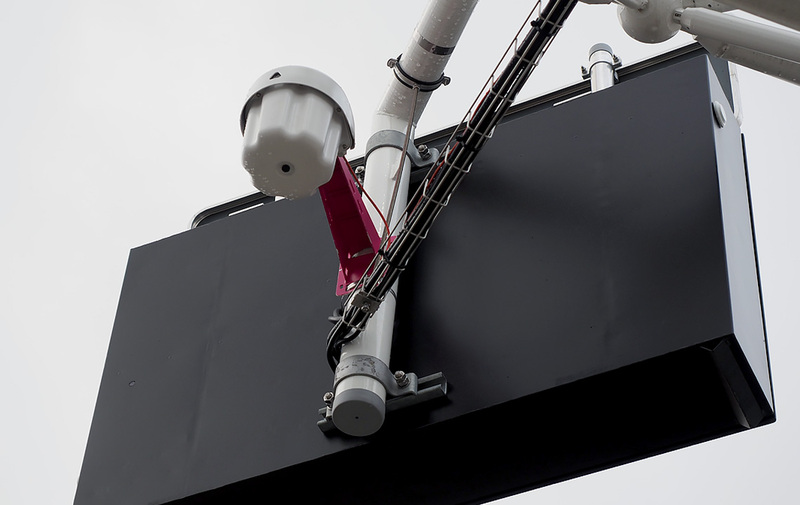 In addition to planned renovations to the existing road surfaces, the overhead gantries required for the construction of the dynamic display monitors and the detection technology are erected. 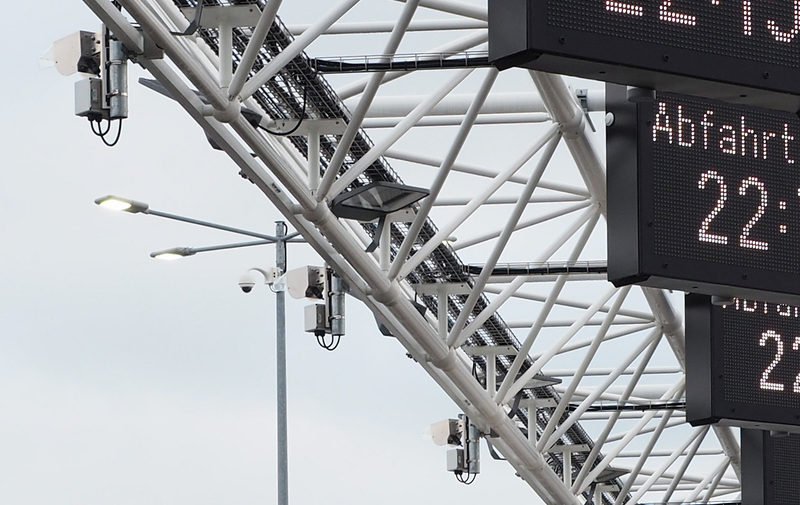 The detectors and departure time display monitors are installed. 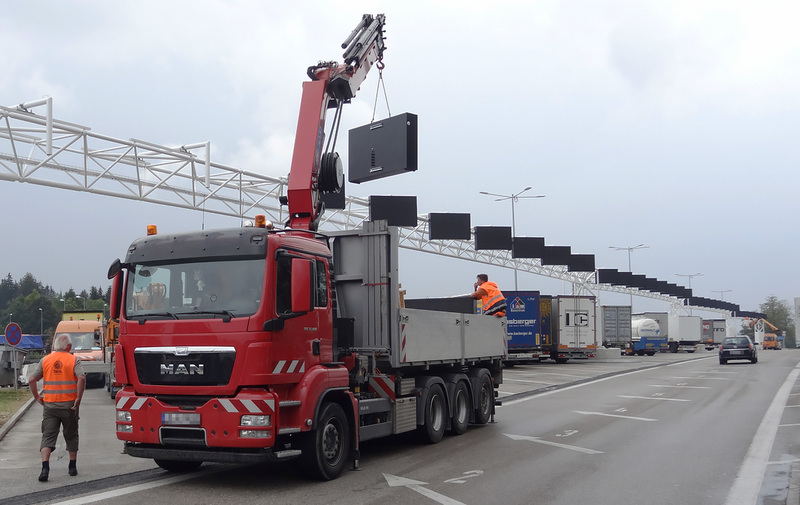 Functional tests are carried out on the detection technology and the properties of the dynamic display monitors (brightness, font size, angles etc.) 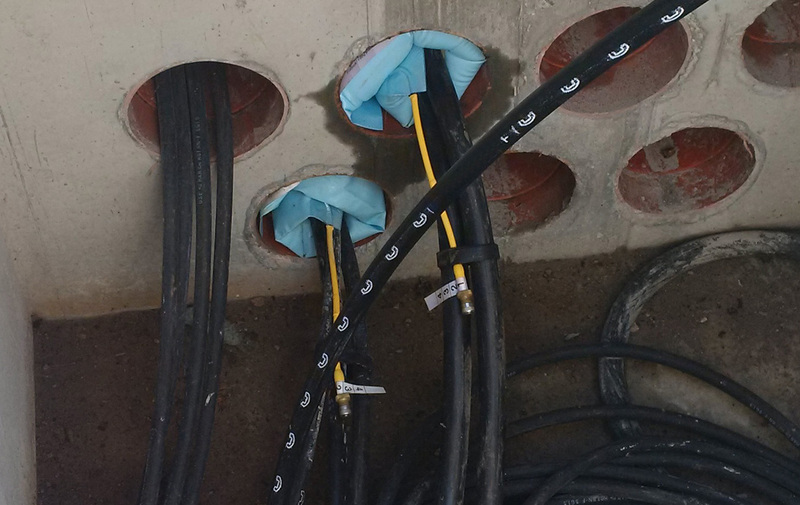 checked with samples at the location. 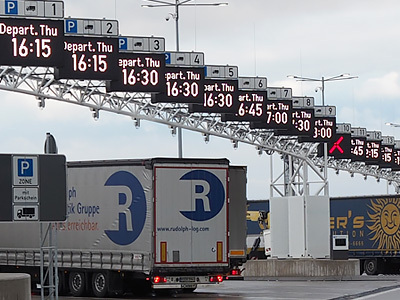 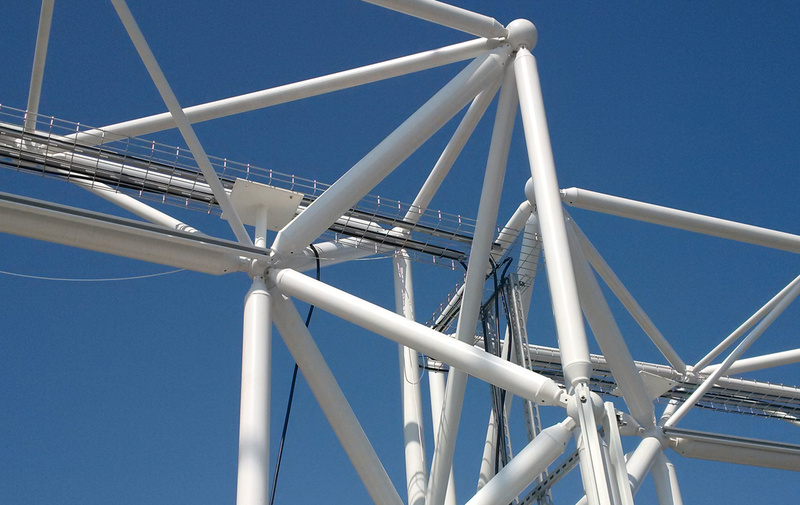 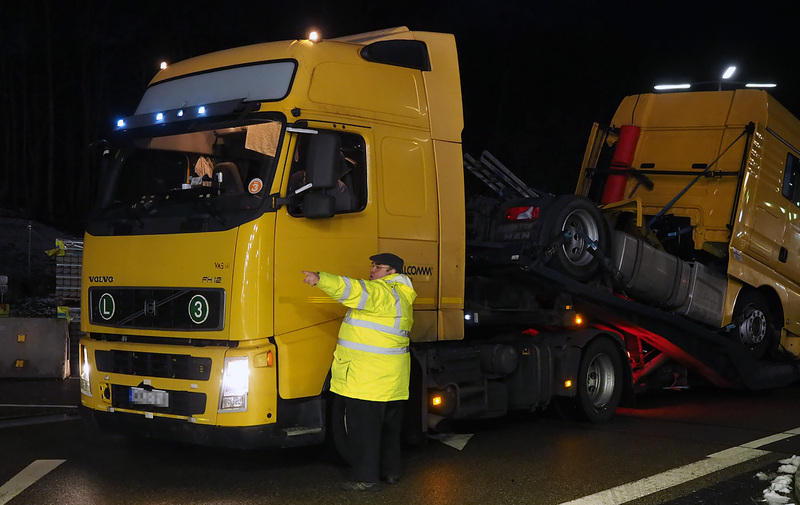 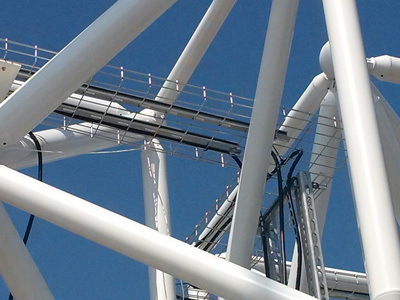 The trial operation begins at the end of September 2015. 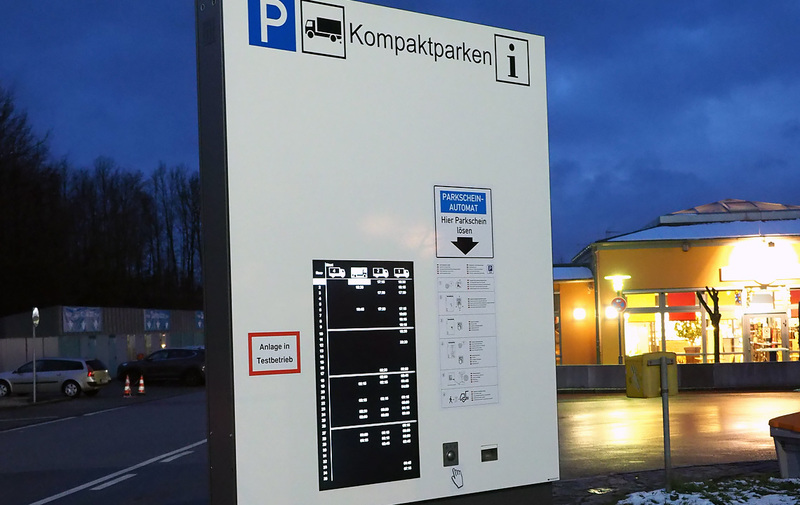 Because of the nature of the Compact Parking system, the trial run takes place under real-life conditions. 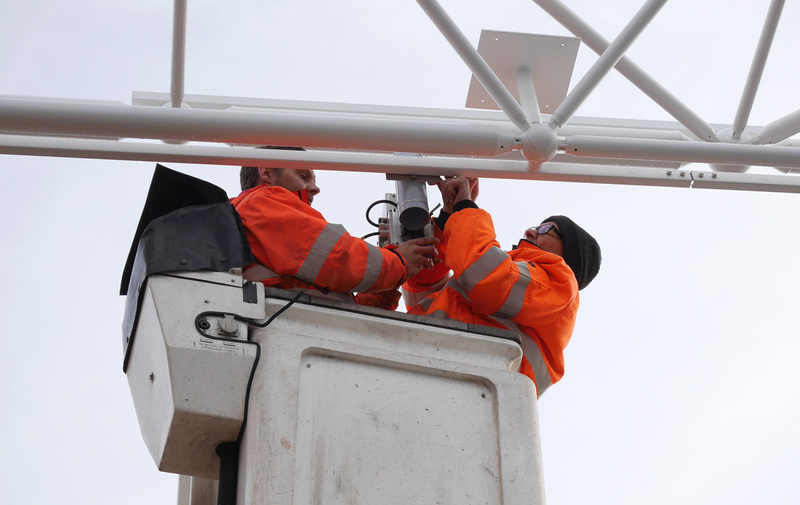 The pilot project is part-funded by the EU Commission within the framework of the Ursa Major project. 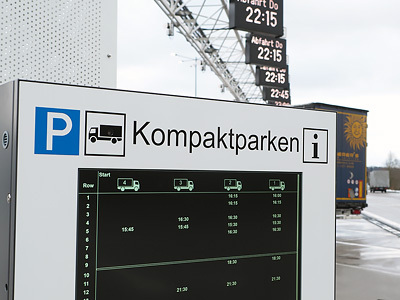 The Compact Parking system is presented to an international audience at the ITS World Congress in Bordeaux/France at the European Commission stand as well as in a so-called Technical Session. 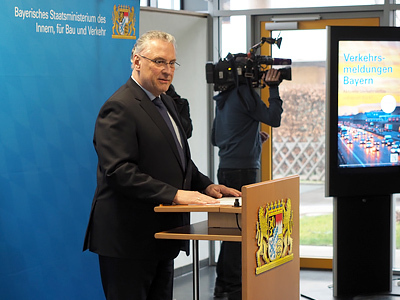 The facility becomes fully operational on 19.02.2016. 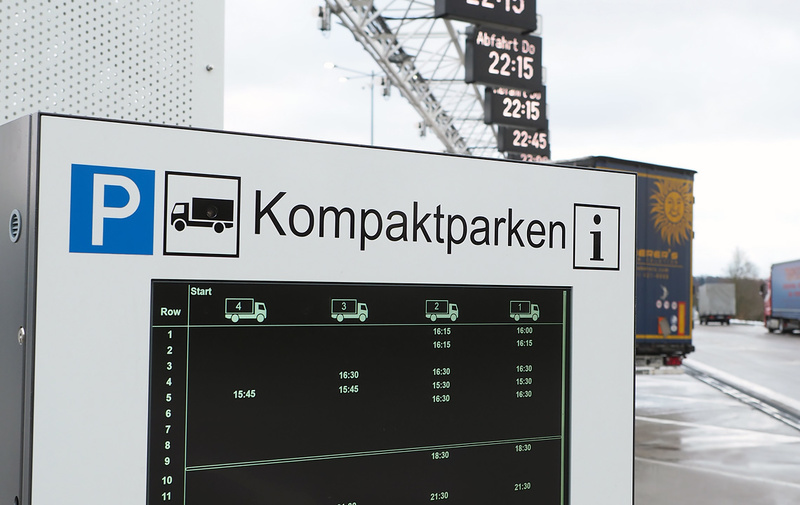 Additional transparency is created for truck drivers who are not familiar with this new parking system through information at the location as well as the www.kompaktparken.de website. 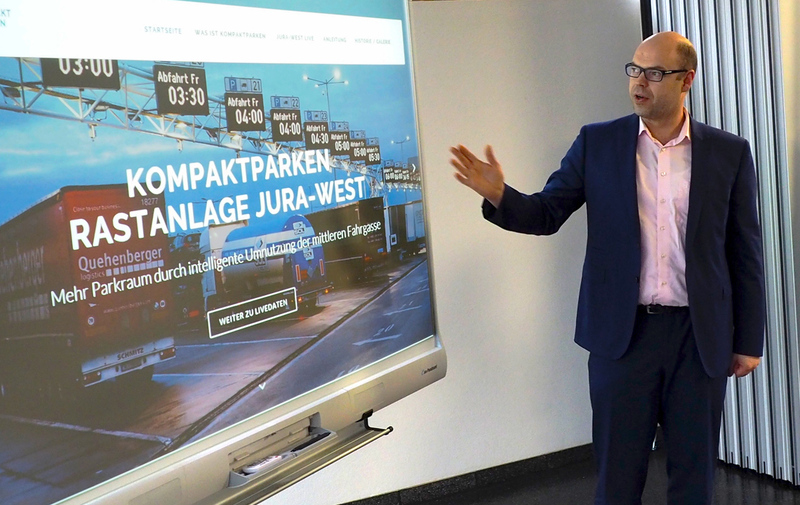 Compact Parking at the Jura-West will continue to be the subject of academic studies during its operation. 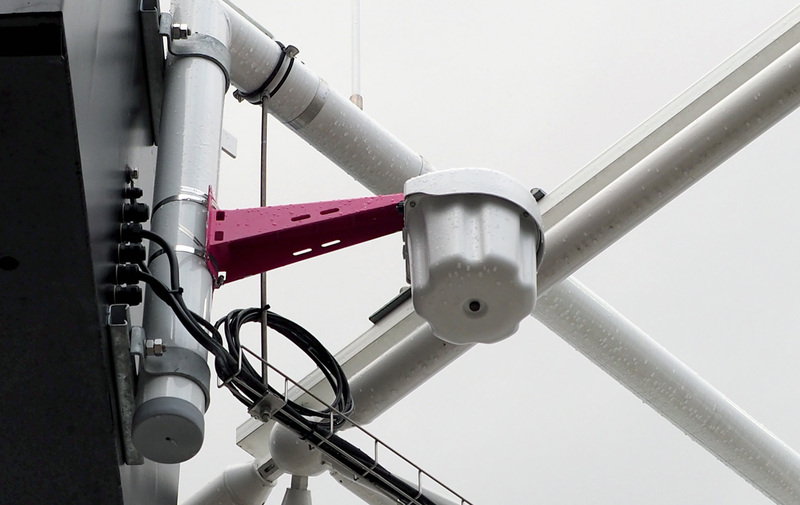 These studies will focus primarily on the clarity of the process from the user perspective as well as the economic viability of the facility.